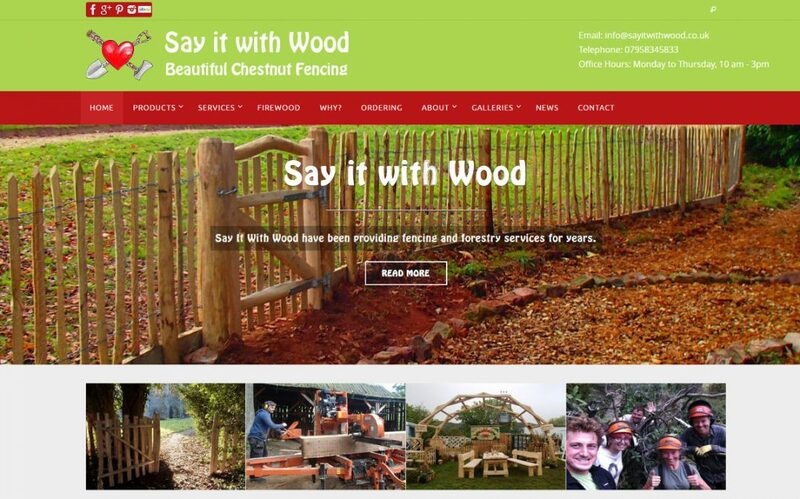 Say it with Wood supply and install a variety of traditional and rustic styles of fencing, gates and garden installations throughout Herefordshire, Shropshire, Gloucestershire, Worcestershire, the Midlands and the UK. All their products are made from sustainably harvested, naturally durable local timber. All of which is felled by their forestry team as part of sustainable woodland management. I originally built a website for Say it with Wood back in 2011. They were very happy with the website, but it was due for an overhaul. Hence, this new website with lots of images and details about the products they supply.